If your summer plans are taking to you Europe and you are not planning on earning Marriott Rewards points than this offer could be for you!. 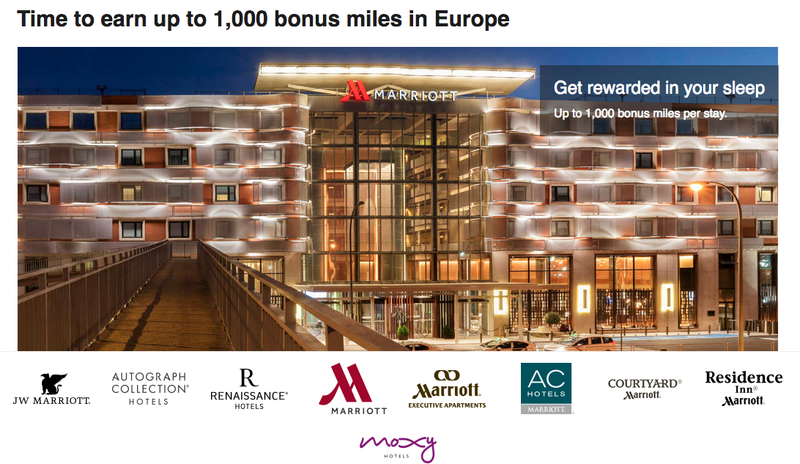 Last seen this past winter, the airline mileage bonus for stays at Marriott locations in Europe has returned for the summer! Depending on the brand you stay at you'll earn an additional bonus of 500 to 1,000 miles. 1,000 bonus miles per stay at: JW Marriott, Autograph Collection, Renaissance Hotels, Marriott Hotels and Marriott Executive Apartments.